Shipping line Eimskip has launched a weekly container freight service between Scrabster and the Faroe Islands. The company’s Grey Line service connects Torshavn and Tvoroyri to the Scottish port using the 5,560 tonne vessel Ruby. 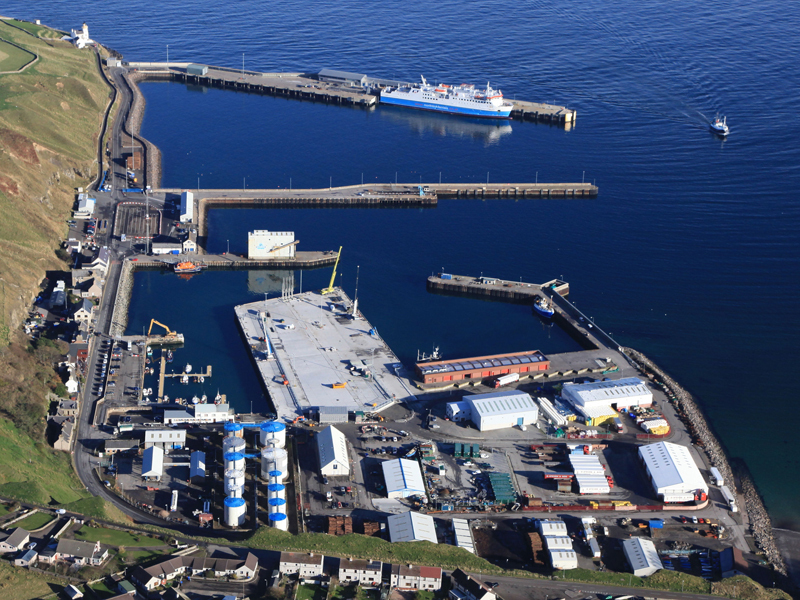 The addition of the weekly service reflects the strategic importance of Scrabster to developments in the North Atlantic and complements the port’s ambitious business plan to capitalise on its position as the most northerly commercial port on the UK mainland. Sandy Mackie, Trust Manager of Scrabster Harbour Trust, said: “We’re delighted to welcome Eimskip to Scrabster and the opportunities this will bring for growth across a range of sectors. Scrabster is the fastest route from the Faroes to the UK as well as the European continent. “Expanding our international freight connections is an important element in the growth of our business across a range of sectors, such as fish, renewables, offshore oil and gas and general freight.